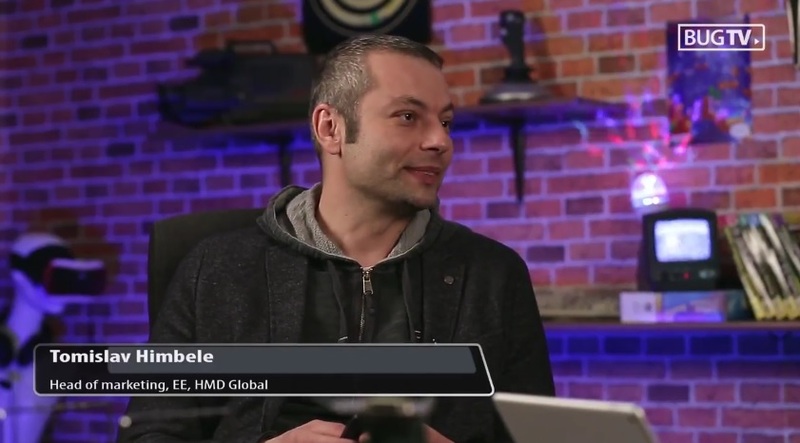 Tomislav Himbele, Head of Marketing for Eastern Europe at HMD Global, did a video interview for a Croatian tech portal Bug.hr. Tomislav is responsible for 33 markets in Eastern Europe and also for Russia and Israel. His office is situated in Zagreb, Croatia where the subregional office for the Czech Republic, Slovakia, Hungary and Adriatics region countries (Croatia, Serbia, Slovenia and B&H) is stationed, too. Some of the interesting information Himbele provided in the interview was a more precise launch period for the new Nokia-branded devices. He said that the devices are going to hit the market in the second half of Q2, meaning from mid-May to early June. Himbele stated, for the Nokia 3310, that it will be available via operators, as well as in retailers, and we believe the same goes for smartphones. For the Croatian market, he said that we can expect a little higher price from the one HMD announced at the MWC2017, because of the higher VAT in Croatia. In contrast, we reported that a store in Germany opened up preorders for the new devices for almost the same price HMD announced, so the price will really depend on the VAT and another retailer provisions. Croatia’s VAT is 25%, while the German is 19%. Hungary has the highest VAT in EU with 27%. The host asked Himbele where does HMD see themselves in the next 3 years, and Himbele answered:”In top 3. Pushing out Apple or Samsung or Huawei… or all 3 of them.” He also decided to give away 3 Nokia 3310 (2017) units, which is in fact the first giveaway for the new devices, but the contest is only open for those who reside in Croatia. Devices would be delivered at the begining of June or when the sale starts.